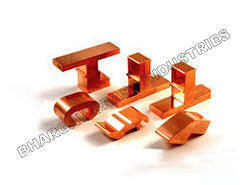 Known for diverse use in a number of industries, the offered Copper Parts are among the first preferences in the market. Made available to clients at the best price possible, the offered parts are highly praised and preferred. 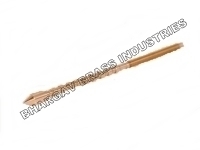 The raw materials used in its making make it highly resistant to corrosion and sturdy as well. 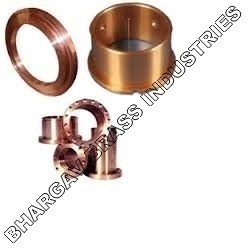 We are amongst the leading names in the industry, offering world-class array of Copper Alloy Casting that are durable in nature and have high strength. Our entire product range is functionally advanced and is used in varied industrial and commercial sectors. 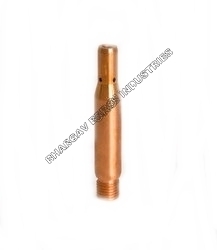 They have high compressive strength and are delivered in well-defined time period. 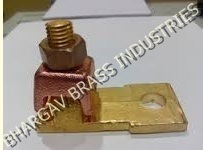 Owing to the sprawling infrastructure, we have been able to provide the customers with a commendable assortment of Copper Components. The offered range is widely appreciated by the clients for robust construction, excellent performance, reliability, longer functional life and high strength. Offered as copper bar turned machined components, the range is widely used in the electrical sector in bushes, nuts, bolts and screws. Looking for Copper Parts ?